The Jikishin School teaches traditional Okinawan Kobudo. 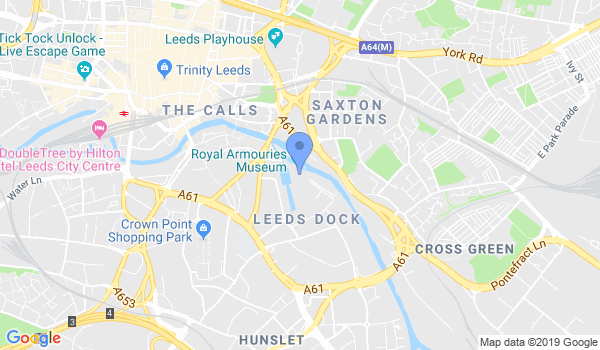 The school is located at the prestigious Royal Armouries in Leeds, which provides an excellent training facility for this historic martial art. The syllabus covers Bo-Staff, Sai, Tonfa, Nunchaku, Kama, Ieku and more. All classes are taken by Sensai Michael Clayton, experienced in several Kobudo styles. Classes are £5 per session, Tuesday and Sunday 7:45pm-9pm, see www.jikishinkobudo.com for more information. Classes are open to those agred 16+. No contract necessary, all classes are paid per session. Would you like more information on hours, classes and programs available at Jikishin School of Kobudo? Please contact the school with your questions. Update the details, Write a Review or Report Error of Jikishin School of Kobudo.